Do you have a baby or young child and dream about sleeping in past sunrise in the morning? I do….I have three young children who rise with the roosters and would love to be able to sleep past 6:30 a.m. So how does it work? LightCatcher features Insuldark technology which “controls light, thermal temperature and sound all through careful fabric construction and triple-layer protection.” I selected the LightCatcher Solid Chocolate 54” Window Panel and was very pleased with the craftsmanship. The curtains were very well made and were quite pretty. 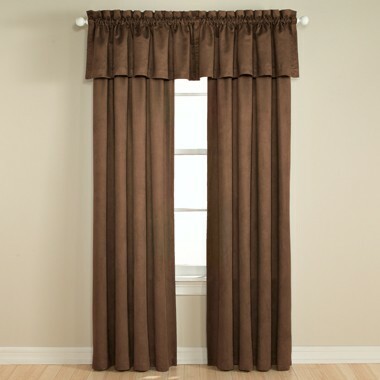 In fact, I knew the major hurdle with these curtains would be with my husband who has always preferred window blinds. His reasoning is that curtains are “too heavy and old fashioned.” When the LightCatcher curtains arrived he looked it over and declared that we could try it because it dispelled his concerns i.e. they were lightweight, modern and stylish. We both liked that the thermal temperature feature could keep the area cooler by blocking out some of the intense Florida sun which makes it a possible money saver too. There is no doubt about it that the LightCatcher does help block out the sun. In mid-morning when the Florida rays are at their peak, we closed the curtain and the room was very dark. 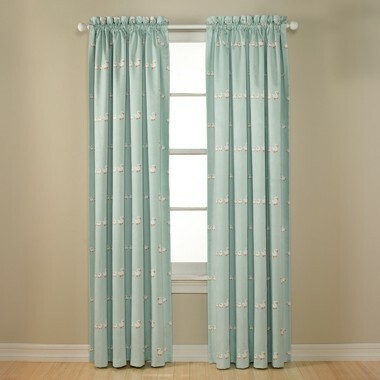 LightCatcher curtains are available in a wide array of colors and patterns to suit every style. Though LightCatchers are designed for use in nurseries or children’s rooms I would even like to have these in our bedroom and other rooms too simply for the thermal temperature control factor. When we are gone for the day we can close the curtains and lower the A.C.
With just the variable of adding the LightCatcher curtains in the children’s room they have gone from waking up at exactly 6:30 a.m. to sleeping in until at least 7:15 and sometimes even 7:45 in the morning. Those extra minutes of sleep are invaluable for our busy family. In fact one morning my husband and I woke up first and were worried because it was so quiet at 8 a.m. We tip toed to the children’s room where they were all three sleeping soundly in their beds. We enjoyed our coffee in silence for the next 15 minutes until they finally woke up well rested and ready to start the day.